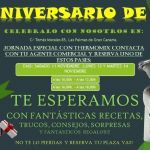 TERMINA ESTA SEMANA LA GRAN PROMOCIÓN DEL 0% DE INTERESESTIENES HASTA MAÑANA MARTES DIA 5 DE AGOSTO ANTES DE LA 13,OO H PREGÚNTAME SIN COMPROMISOPAGA TU Thermomix® EN CÓMODOS PLAZOS DE 18 MESES SIN INTERESESTE HAGO ESTUDIO DE CONSUMO PARTICULAR Y VERAS QUE ESTAS PAGANDO TU Thermomix® SIN TENERLANO TIENES QUE SACAR DE TU PRESUPUESTO PARA LA Thermomix® CON LO QUE AHORRARÁS SE AUTOFINANCIACON 1 € DIARIO TIENES TU Thermomix® TE ASEGURO Y DEMUESTRO QUE AL DIA CON Thermomix® AHORRAMOS MÁS DE 1€EN LUZ,AGUA,INGREDIENTES...¿QUE TE GUSTA PREPARAR? 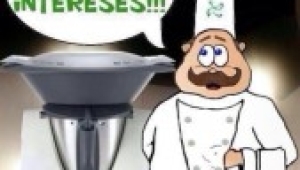 ¿QUIERES RAPIDEZ? ¿QUE SEA FÁCIL? ¿SANO? ¿QUE SEA TU PINCHE EN LA COCINA? 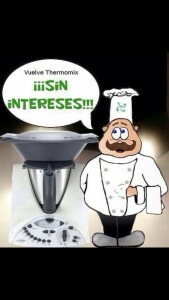 PUES LA RESPUESTA ESTÁ EN LA EMPRESA EN LA QUE TRABAJO,VORWER, MULTINACIONAL ALEMANA DE GRAN PRESTIGIO Y EN LA Thermomix® PRODUCTO AL QUE REPRESENTO Y QUE ENCANTADA TE MUESTRO Y CON ÉL QUE PUEDES COMPROBAR QUE RESPONDE CON HECHOS A TODAS ÉSTAS Y MUCHAS MÁS PREGUNTASQUEDAMOS SIN COMPROMISO Y LO VEMOS JUNT@S .REGALO POR RECIBIRME . 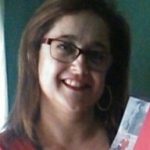 MARIA JOSÉ REQUENA VEIRA.